The Western Ghats are among only 24 bio diversity hotspots of the world and recently declared a world heritage site by UNESCO. As such it also offers you many possibilities of being a weekend getaway from Bangalore. Unfortunately, not all travelers are sensitive to this hotspot. At Mugilu, we believe in maintaining a harmonious relationship with nature by minimizing the impact and preserving this rich bio diverse ecosystem. Firstly, Mugilu is for the responsible traveler who understands the need for the above and helps us maintain this. We limit our footprint by having only 4 cottages and restricting reservations strictly for families and couples only! Please do not ask us to make any exceptions, its really what Mugilu stands for. We offer all the amenities and comforts required by a responsible traveler and would like to emphasize that we are a plantation stay and not a resort in the true sense. Hence, please do not expect the services or facilities offered by resorts. We have maintained Mugilu in the most natural way possible so as to provide the true experience of nature as it should be! This has prevented us from paving paths and landscaping gardens. Yes, its a homestay but one that has been created to complement the surrounding and not compete with them. Prior to a booking, we would like you to go through our website in detail to understand the kind of place where you will be staying. The following points will help. Insects, birds, moths, leeches, snakes and even our own pet dogs are part of Mugilu. Please do not disturb them and they will not disturb you. In case of drivers/ maids accompanying you, instructions to be given to them to observe the above rules strictly. Any infringement of the same will be held against you. How are the road conditions to Mugilu?Will my car make it to your place? Mugilu is located 230 km from Bangalore and that’s why most of our guests have called it a great weekend getaway from Bangalore. The first 180 km of the national highway (NH 48/ new no NH 75) are good 4-6 lane toll roads. The next 40 km is again a smooth 2 lane road followed by a 7.5 km single lane state highway (SH 27) recently tarred and in good condition, although during the monsoon you could face a potholed road. The last 1.5 km is a mud and gravel road, which calls for some cautious driving. Of course, all cars have made it comfortably to Mugilu, including Honda Civics (one of the lowest clearance vehicles)!! We’d like to think that the roads leading to Mugilu are a better drive than the ones you would normally take to Office within the city. How long does it take to reach Mugilu? It takes 4.5 hours from Bangalore depending on the driving, number of breaks you take and most importantly the time taken in and out of Bangalore. Our 10-acre property is completely power fenced and secure. We have ample parking for your vehicles as well. We stock basic first aid. However, if you need any special medication, please carry them along with you. The nearest PHC is located 6 km away and the nearest hospital is about 15 km away in Sakleshpur town. Are there leeches at Mugilu? Yes!!! There are leeches during the monsoon months. In case of a phobia, ensure you carry mosquito repellent cream/ lotions which ward off the leeches quite effectively. You are visiting a nature friendly place and snakes are an important member of this ecosystem. Your chances of encountering one are rare. FYI, we have not come across any venomous ones in the last 5 years. A book on the snakes of India, which we have in our mini library, will make an interesting read. How many people can be accommodated in a cottage? Our cottages are single room cottages built on stilts with a large bathroom and a balcony. They are ideal for couples and small families. If you make a booking for 4 adults in a single cottage, we provide extra mattresses with foldable cots. Is there a kitchenette in the cottage? No, we do not have one. Your package includes all meals served at the common dining area. Do you have a TV and AC in the cottages? No we do not. Nature offers ample opportunities to pass time and be one with yourself and your family. Room temperatures here rarely exceed 24 degrees even in peak summer and with a gentle breeze blowing most of the time there is no requirement for an AC. Are the cottages bug free? No guarantees on that. We regularly fumigate our cottages with eco friendly pesticides but do remember, you are in their habitat and not the other way round. Do you have back up power? Yes we do have back up which will last up to 3 hours during which time basic lights and one plug point in the cottage will work. Do you have 24 hours running hot water? No we do not. Running hot water will be provided between 07:30 am and 10:00 am. In case you require it at any other time, you have to let our staff know at least 2 hours in advance. What kind of food is served at Mugilu? We serve a preset buffet at our common dining area. The menu will include a mix of local, south and north Indian dishes. All items are home cooked and served fresh.A sweet dish is part of the menu during lunch only. At dinner, a soup is part of the menu. For the non-vegetarians, we serve only chicken and egg. We have a limited menu for snacks, orders for which have to be placed at least 3 hours in advance or before 5:00 pm. Orders for snacks will not be taken after 05:00 pm. What are the activities for children? We do not have any special activities for children as such. Most children, who have visited Mugilu, have found a play home in nature and have discovered new and different things that are not available in the city. How are the road conditions to Mugilu? Will my car make it to your place? The first 180 km of the national highway (NH 48/ new no NH 75) are good 4-6 lane toll roads. The next 40 km is again a smooth 2 lane road followed by a 7.5 km single lane state highway (SH 27), recently tarred but during monsoon you can expect the usual share of potholes that makes it a slower drive. The last 1.5 km is a mud and gravel road, which calls for some cautious driving. Of course, all cars have made it comfortably to Mugilu, including Honda Civics (one of the lowest clearance vehicles)!! We’d like to think that the roads leading to Mugilu are a better drive than the ones you would normally take to Office within the city. 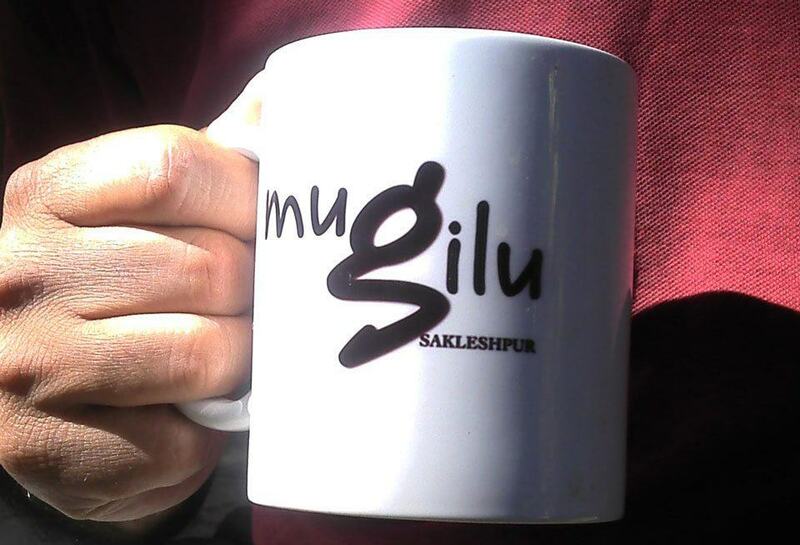 Is the monsoon a good time to visit Mugilu? We are situated in a heavy rainfall zone. Hence, we are closed for 1.5 months during peak monsoons. We reopen in the 2nd week of August every year when rains have subsided. However, rains continue till the end of September. So please be prepared for continuous as well as spells of heavy rain. This is something we do not have any control over. Having said this, August to December is the most beautiful time of the year to experience Mugilu. Do remember to carry rain gear, umbrellas and torches. We serve a preset buffet at our common dining area. The menu will include a mix of local, south and north Indian dishes. All items are home cooked and served fresh.A sweet dish is part of the menu during lunch only. At dinner, a soup is part of the menu. For the non-vegetarians, we serve only chicken and egg.We have a limited menu for snacks, orders for which have to be placed at least 3 hours in advance or before 5:00 pm. Orders for snacks will not be taken after 05:00 pm. We do not have any special activities for children as such. Most children, who have visited Mugilu, have found a play home in nature and have discovered new and different things that are not available in the city.